HERE FOR SALE AT LEIGH CARS WE HAVE A PART EXCHANGE TO CLEAR. 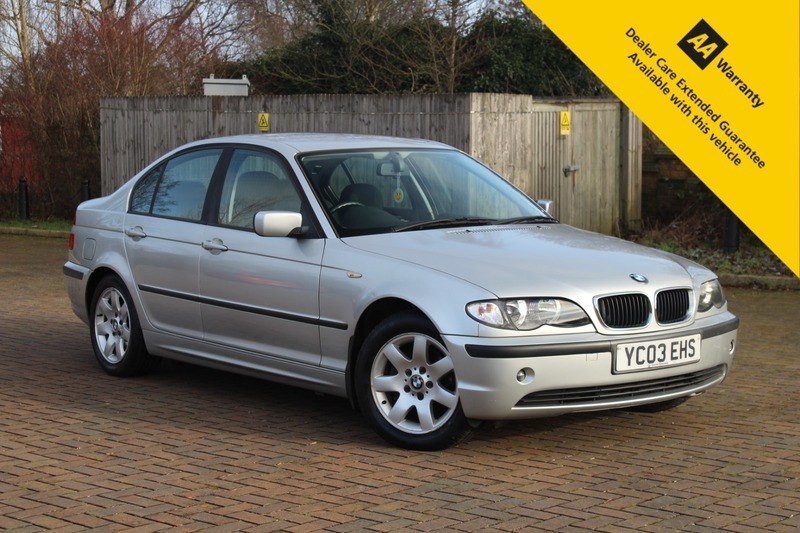 THIS BMW 3 SERIES 318i SE PETROL AUTOMATIC COMES WITH AN MOT UNTIL 18th MAY 2019 AND AN EXTENSIVE FULL SERVICE HISTORY ALL FULLY STAMPED WITH VARIOUS INVOICES FOR MAINTENANCE OVER THE YEARS. MOST RECENTLY THE 2 FRONT TYRES HAVE BEEN REPLACED FOR NEW ALONG WITH NEW FRONT PADS AND DISCS. UNFORTUNATELY DUE TO THE AGE OF THE VEHICLE WE WILL BE UNABLE TO OFFER ANY WARRANTY AND THE VEHICLE IS SOLD AS SEEN AND IS A PART EXCHANGE TO CLEAR. WE ARE MORE THAN HAPPY FOR ANY MECHANICAL INSPECTION YOU MAY WISH TO CONDUCT AND WOULD FULLY WELCOME THIS. WE ARE AN AA ACCREDITED DEALER SO YOU WILL RECEIVE A 12 MONTH AA BREAKDOWN COVER FREE OF CHARGE. THE EXTERIOR AND INTERIOR OF THE VEHICLE IS IN GOOD / GREAT CONDITION FOR THE AGE AND THE MILEAGE AND WILL BE PERFECT FOR SOMEONE FOR MANY YEARS TO COME. THIS WILL BE UP FOR SALE FOR 14 DAYS UNTIL IT GOES TO AUCTION, BUT IT RUNS AND DRIVES WELL SO IT SEEMS A SHAME TO END UP DOWN THE AUCTION AND DEFINITELY HAS LIFE LEFT IN THE OLD DOG AND WILL DO SOMEONE A GOOD TURN FOR SOMEONE WHO WANTS A CHEAP AUTO WITH FAULTLESS SERVICE HISTORY.